$2.00 Per Sq. Ft. NNN / Mo. $0.75 per Sq. Ft. / Mo. 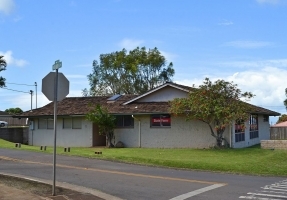 Professional office space available for immediate occupancy with great visibility, just off the Old Haleakala Hwy. 3 separate offices or two private offices with a reception area and 2 restrooms make this a very functional space for professional use. Please contact us today to schedule a showing.